Having triggered Article 50, Prime Minster Theresa May must now do everything in her power to control the impact of Brexit on the NHS and protect patient care across the country by granting permanent residence to EEA nationals working in the UK. European doctors are vital to the NHS in the East Midlands. Many have lived here for years and are not just NHS workers, but valuable members of our communities. We should recognise the valuable contribution they make by protecting their right to remain and to work in the UK rather than placing them and their families in a position where they are facing an uncertain future. 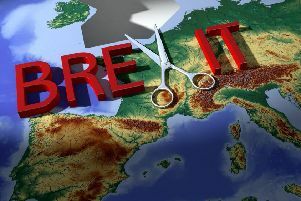 Worryingly, a recent British Medical Association survey found four in 10 EEA doctors working in the UK are considering leaving following Brexit. With the NHS at breaking point and facing crippling staff shortages in many areas, losing more doctors would seriously impact patient care. This decision not only impacts the numbers of doctors and healthcare staff in our NHS, we will also risk losing skilled researchers who are vital to the future of medical advancement in this country. To protect patient care, it is absolutely vital the government grants EEA doctors working in the NHS permanent residence; the stability and future of our NHS depends upon it.